There are even some of the biggest names in world football set to drop a place or two to allow the hottest names on the planet to breach the upper levels, and while Lionel Messi and Cristiano Ronaldo will continue to rule at the top, which will triumph in the ratings war. The footballing elite is an unforgiving category for players to find themselves in, regardless of how much pride you can take from being among the world’s top talents. Here are predictions on who the top 5 players on FIFA 16 will, along with their predicted rating. Yes, Zlatan Ibrahimovic is still the greatest out-and-out centre forward in the world. It’s a very close call between him and Aguero, but Ibra’s goal haul at every single club he’s played for has earned him a sensational rating until the sad day when he retires. The Swedish superstar had 31 goals in 39 games for both club and country last season, and is still a tremendously fearsome player to square up against. Again, like Robben, his age is increasing and game time decreasing, resulting in a one point hit but he’s still a phenomenal talent. He’ll be a big miss from top Champions League nights if this does turn out to be his farewell before heading to the MLS. Manuel Neuer is the best goalkeeper in the world, right? Yes okay, I’m glad we’ve got that sorted; his inclusion is straight-forward. 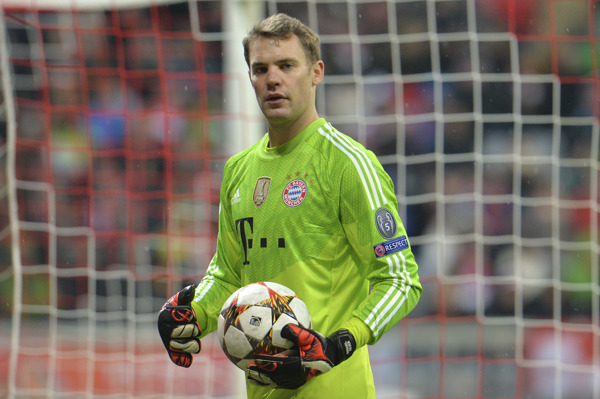 Simply put, Neuer has done nothing to suggest he’s declining or should be dropped down a notch. The German stalwart will remain between the sticks for Bayern Munich and his national side for years to come, while his rushing antics could actually be useful in certain FIFA situations depending on how keen you are to risk life, limb and dignity to stave off an attacker. Luis Suarez should gate-crash the highly exclusive 90-club after an electric debut season with Barcelona. The Uruguayan shone for Liverpool, racking up enormous figures on Merseyside to prove he could do it in the Premier League, but as expected, his move to the Catalan giants has resulted in an even more terrifying brand of Suarez football. Forget his troubled past, Suarez has tallied up 26 goals in 46 games with 23 assists to demonstrate he’s more than a selfish lone wolf. And that’s all after a disjointed start to his La Liga adventure thanks to his ‘bite ban’. With a full pre-season leading into a full campaign, Suarez will thrive and if he maintains form across the season, he could even (dare I say it…) begin to enter Messi and Ronaldo territory when it comes down to sheer numbers on a page. Cristiano Ronaldo will have to settle for second spot once again, even with an extra point fixed to his rating after an exhilarating season saw him bag 65 goals in 53 appearances for Real Madrid. It’s a stunning return, particularly for the sheer amount of football he played across the season. Ronaldo will go down in history as one of the greatest players of all time, and it’s certainly no sleight that he’s not top of this list. However, when it comes to FIFA, he will be the greatest player on the game due to his strength and size advantage over Number 1 on the list. 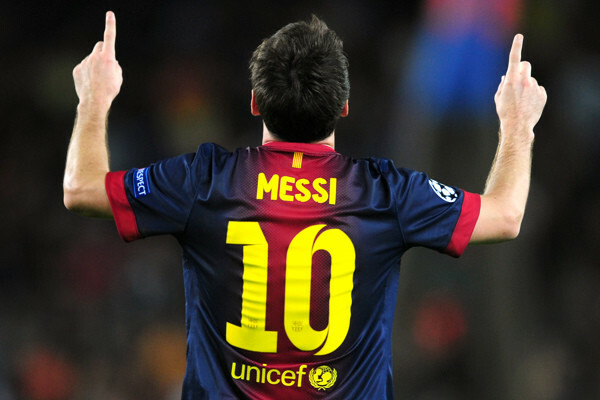 Lionel Messi is the greatest player of all time, and I’m not even going to put a question mark after that. The Argentine magician was being tipped for a decline after 2014, but he hit back with vengeance with a ruthless 2015. Across the whole season he raked in 60 goals in 60 games with 28 assists. It’s a ludicrous total, and what makes it even more remarkable than Ronaldo’s is that Messi achieved his total from 147 shots, whereas Ronaldo was far more wasteful with 322 efforts. Messi is efficient, supremely talented, and sure-fire to be the top-rated player on FIFA 16.